For those of you keeping track at home, I am currently running twelve days behind on my nails of the day posts, as today I have pics of the polish I applied on November 23rd to wear for Thanksgiving weekend. (Just think how far behind I'd get if I actually changed every day instead of twice a week!) 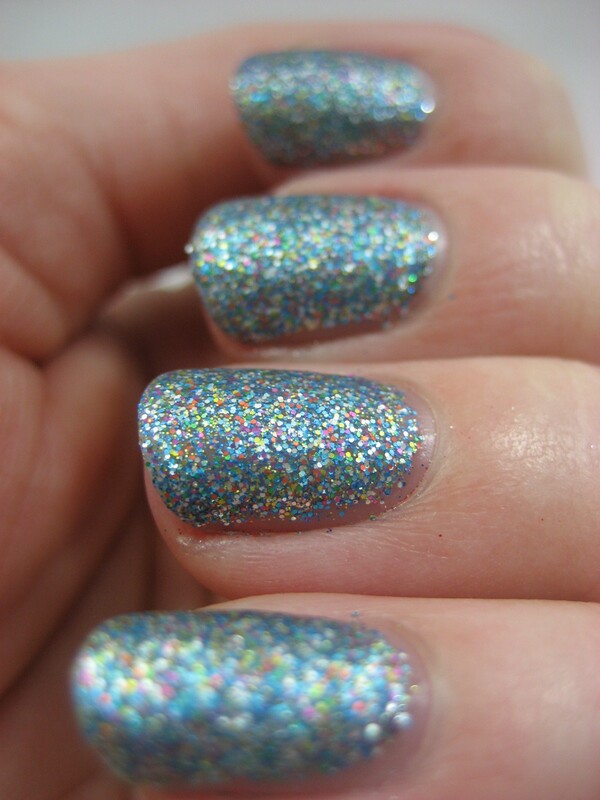 Since I'd had such good wear from Mad as a Hatter on my trip in October, I picked another dense OPI glitter for this outing: Simmer & Shimmer from the Burlesque collection (in stores now—and no, they are not paying me to say that). S&S is a multi-but-mostly-blue color. I used three coats plus top coat over my regular base coat routine. The result: shiny fascination. 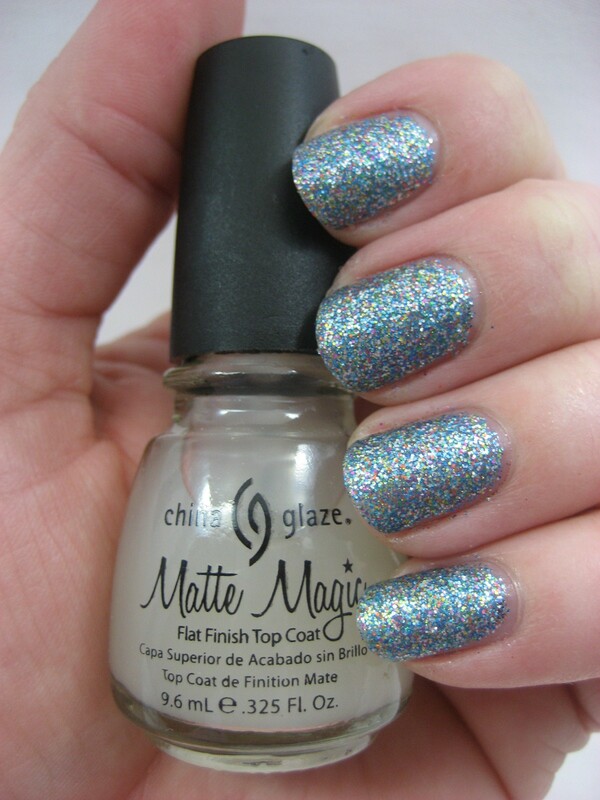 Much as I liked the look, I decided experiment and added a coat of China Glaze Matte Magic. I liked that, too. What I did not like was the chipping I got after a couple days. In over a week in Florida, I never had to touch up Mad as a Hatter once; I had my bottle of Simmer & Shimmer out to fix chips nearly every day I was in Illinois. 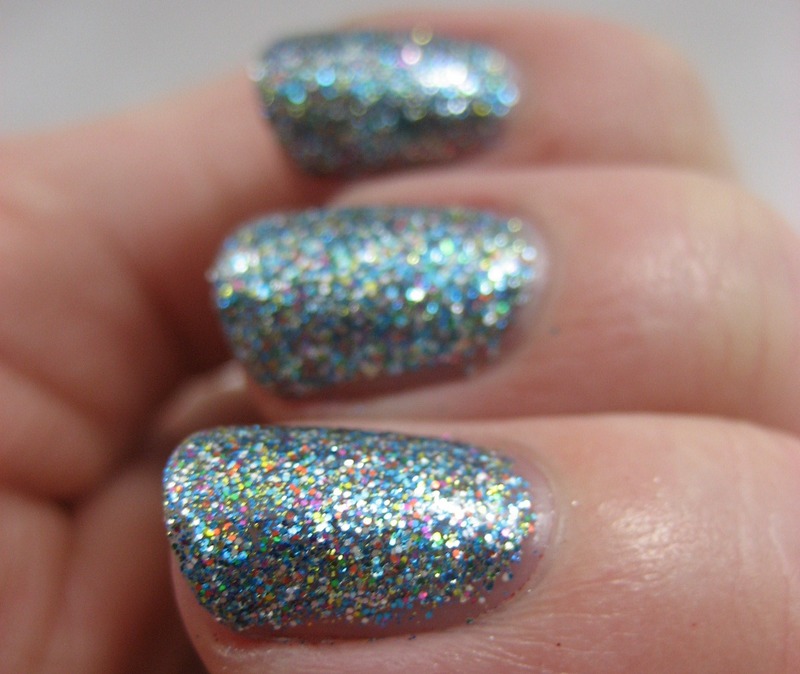 If I'd planned from the start to mattify it, I would have used Orly Bonder as a base and before the last layer of glitter (the "stickey sandwich" method). Next time; there's always next time. I've never heard of the stickey sandwiching method! 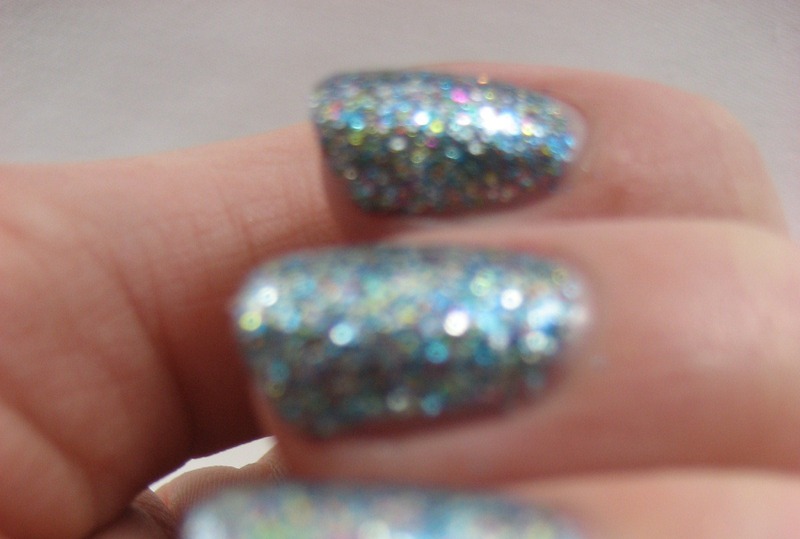 :) Still, a very pretty glitter.